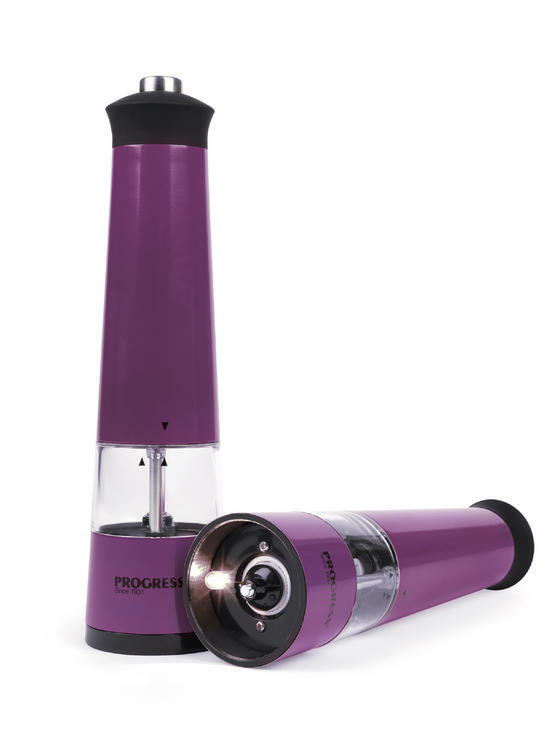 The intelligent design of these Progress electric salt and pepper mills features an integrated base light which illuminates as you grind. Made from durable acrylic, the mills can withstand the demands of a busy kitchen and are perfect for seasoning at the dining table or as you cook delicious meals to enjoy with your family. The mills also have a high quality ceramic grinding mechanism which is resistant to rust and provides you with advanced control as you add salt and pepper to your food. This set of two Progress battery operated mills will look great on your kitchen worktop or in the centre of your dining table at home. 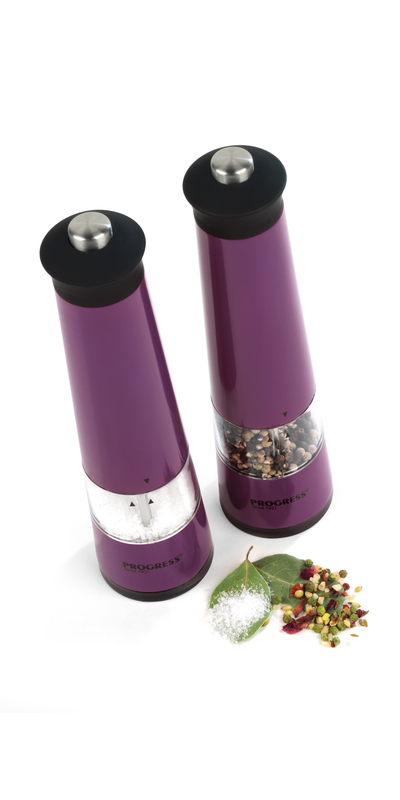 With a vibrant purple finish, the mills measure at 5.8 x 22.5 cm and are incredibly easy to refill with your choice of seasoning. The ceramic grinders are very efficient, whether you want to add a sprinkling of salt to your dish or generously season a family meal. Made with brilliantly strong acrylic, the mills also have a smartly integrated base light which illuminates your dish as you grind. Essential for cooking and dining, their stylish design features a clear plastic central cylinder so you can easily see the contents.